Vivian brings to IC-IMPACTS experience in social media marketing, professional communications and administrative skills, and a devotion to social justice. 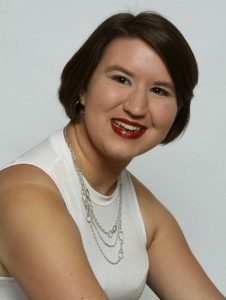 She holds a Bachelor’s degree in Creative Writing (minor in Gender and Woman’s Studies) from the University of British Columbia, Okanagan campus. Her abilities and passions are notably demonstrated in the publication of her 2016 poetry chapbook, and in her past work as an academic club founder and executive of LGBTQ+ Christians UBCO. Vivian also manages a personal website, through which she uses her love of writing to pursue her interests in feminist Christianity, mental health, and intentional mindfulness in her everyday life. Her creative perspective allows her to navigate both personal and professional situations with an emphasis on diversity, inspiration, and spirituality. Want to stay connected? Sign up below to receive news and special updates from IC-IMPACTS!